"The first time I saw a Bavaria, it was not love at first sight, and frankly it did not catch my eye," Brian Hoehne tells me. 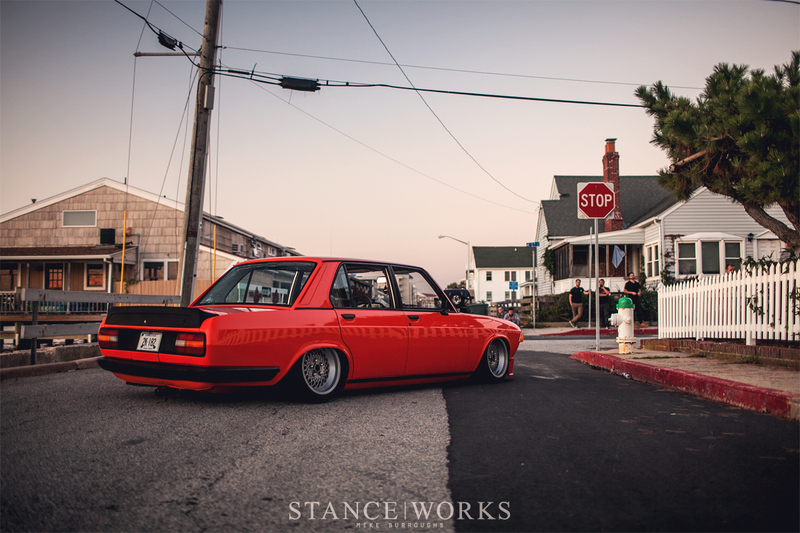 It wasn't quite what I expected, coming from the owner of one of the few classic BMWs present at H2Oi. Instead of a long-term love affair with the car and the marque, Brian's love for cars has flourished in a different way; a story dissimilar to the average tale of car and driver. Yet through friends and family, one bright orange Bavaria now represents much of Brian's dream. Brian was raised on a farm in Cheshire, Connecticut, which seems to be the Hollywood makings of a man who with no interest in automobiles, or a famed race-car-driving legend. Brian is neither of the two, but it could have been the former. It wasn't until high school that his interest in cars began, albeit somewhat loosely. "A friend and I would take out his father’s E46 328IS and go cruising after school, running errands. We would leave the neighborhood and then pop the automatic into sport mode and start speeding around the winding roads of Connecticut." Those afternoons were the first in which Brian realized that a car might serve as something more than point A to point B transportation. "After high school and in college, I lost touch with my interest in cars for a short while, until I found myself detailing cars for a funeral home." Brian's choice of major was Mortuary Service, and while detailing cars may not have been what he expected to be doing after landing a job at a funeral home, it opened a rather important door. The subject of his work - cars, instead of people - became an integral part of his day-to-day life. "I developed an appreciation for the 'cream of the crop' cars." Over time, Brian's appreciation for cars began to strengthen and solidify. After meeting his girlfriend seven years ago, he discovered her brother and father were both avid car enthusiasts, and the bond between all factors grew. "I always had a mechanical mindset, finding myself working on machines and bicycles, but discovered how much I loved cars while being involved with my girlfriend's brother's project car." It wasn't long before Brian wanted a project of his own. Brian was introduced to Justin Behrens, the owner of a local BMW specialty shop. The two built a friendship around Justin's knowledge and Brian's desire to know more, and within due time, Brian was itching for his own roundel-sporting car. 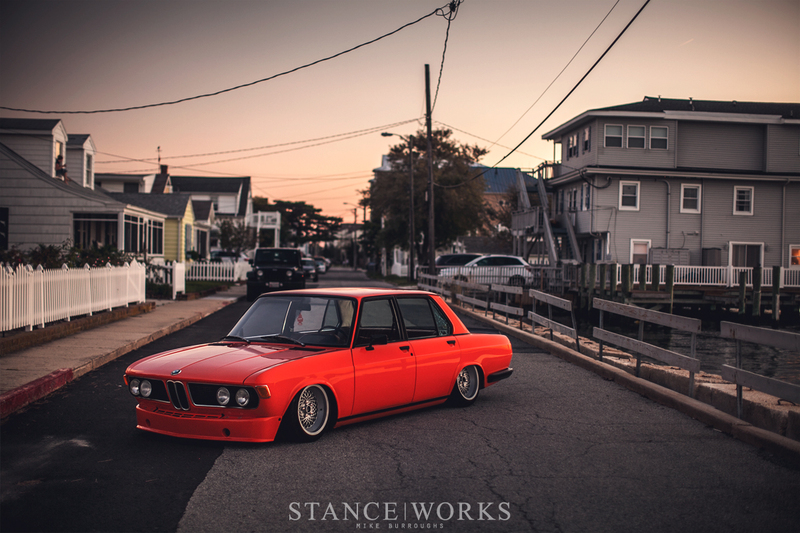 Brian gives Justin most of the credit; "Justin and his collection of vintage BMWs was maybe the biggest influence on my plan to start my own collection." 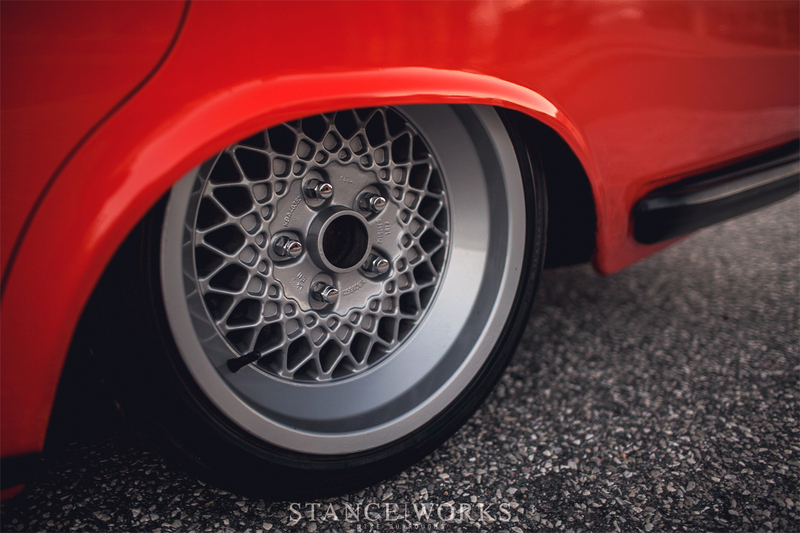 Justin's collection ranged from old to new, and from in dire need of repair, to the same level of quality Brian has instilled in his Bavaria build. "I found myself appreciating the architecture and design of BMWs, which brought me back to my high school memories of driving around in my friend’s car." Eventually, after some considerable time spent hunting, Brian found what he had set his heart on: an E30 convertible. A Diamond Schwarz M-Tech 2 'vert served as his first project, and with Justin's help, he put the drop top through a full-fledged restoration. Its completion brought Brian back to searching for his next project. Brian was fond of the sporty feel of the E9, but having learned from Justin, the budget wasn't going to allow such a costly build. Instead, his girlfriend's brother introduced him to the Bavaria - specifically one that was in serious need of reconstruction. What was presented was a 'running and driving' Bavaria, but after seeing the car in person, Brian immediately knew that things weren't quite what they seemed. "This was one of those classic 'looks better in photos' kind of deals." 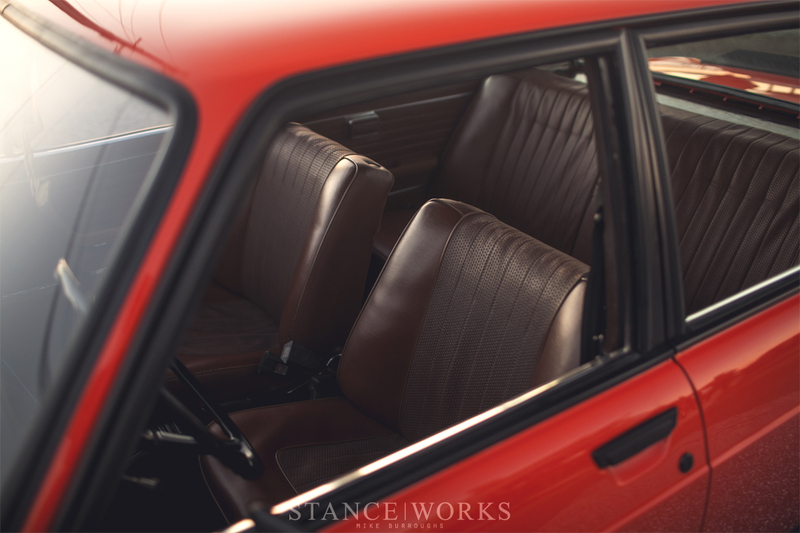 Scrutinizing the car, Brian noted that every panel had flaws, trim was missing, there was Bondo everywhere, and each panel was a different shade of tan. 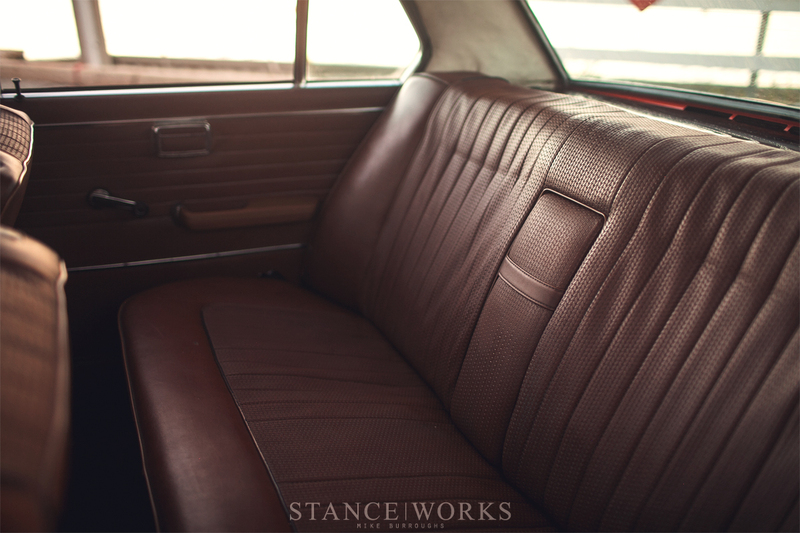 The interior was disassembled and the back seat and trunk were filled with pieces and parts. In ways, it's hard to blame Brian for his lack of love at first sight. Brian was ready to walk away, but things changed when he started the car, and the Bavaria's vague history began to unravel. The swapped M30B32 fired up for the first time in two years, and the M30's iconic growl grabbed hold of Brian and never let go. After inquiring about the engine, the owner revealed the car's past - a race car in its previous life, that was given away and forgotten. 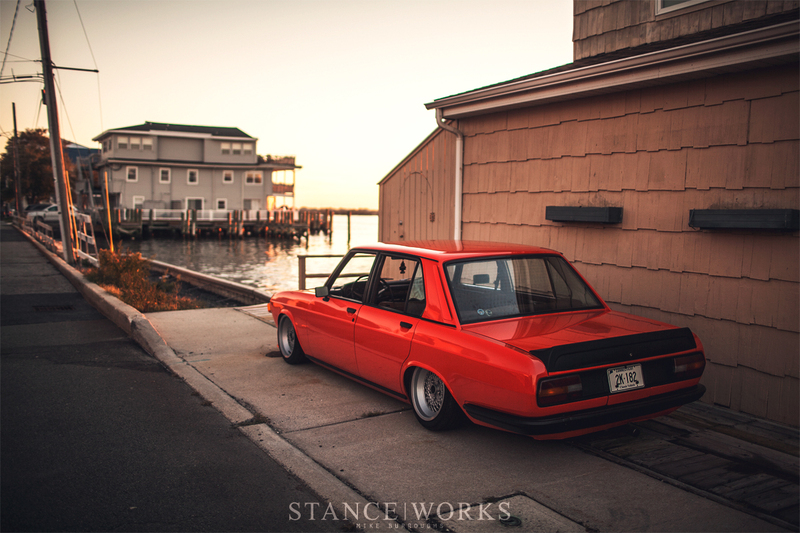 "I was excited that the legacy of the car could still go on and knew I had to have it. After a quick test drive, we packed the car full of additional parts from the seller’s basement and drove it back to the shop." With that, Brian, friends, and family were off, diving head first into a full-on restoration. While little of the original remains, its legacy continues. 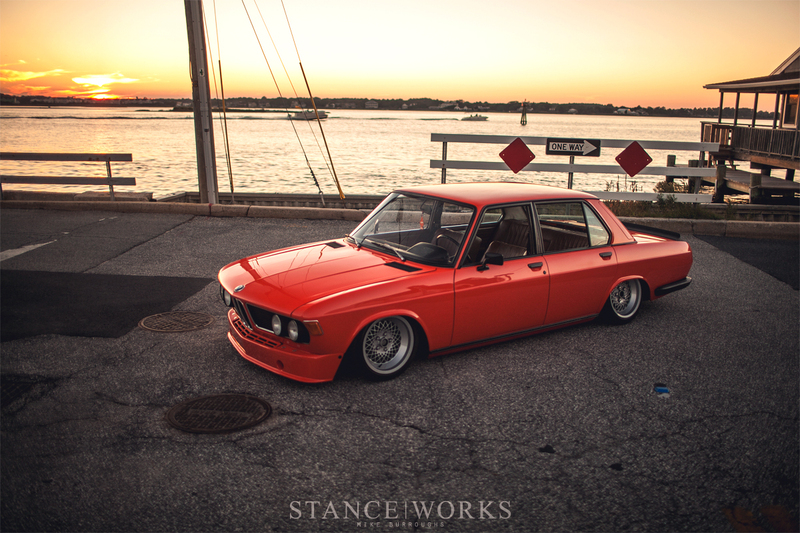 Brian opted for BMW's Inka Orange, and while the number of cars produced in such a color is unknown, Bavarias were indeed offered in Inka as an option. 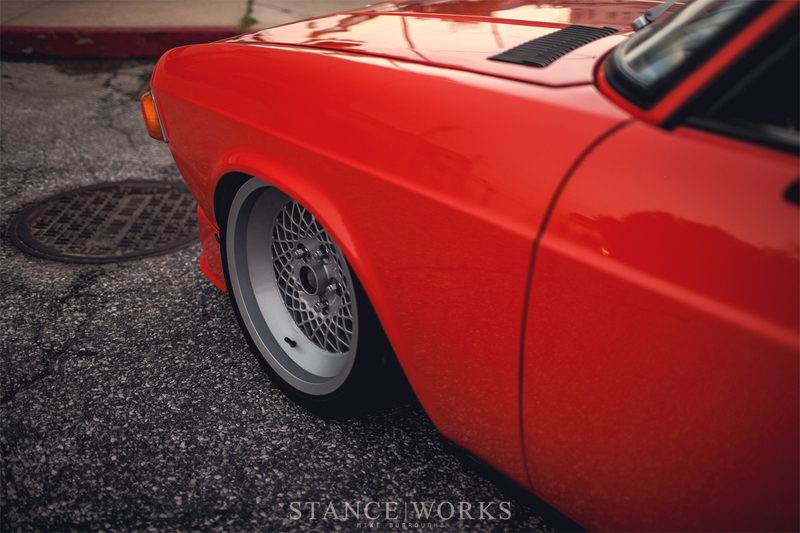 The suspension was an obvious choice for Brian as well - Air Lift struts and management were his go-to. 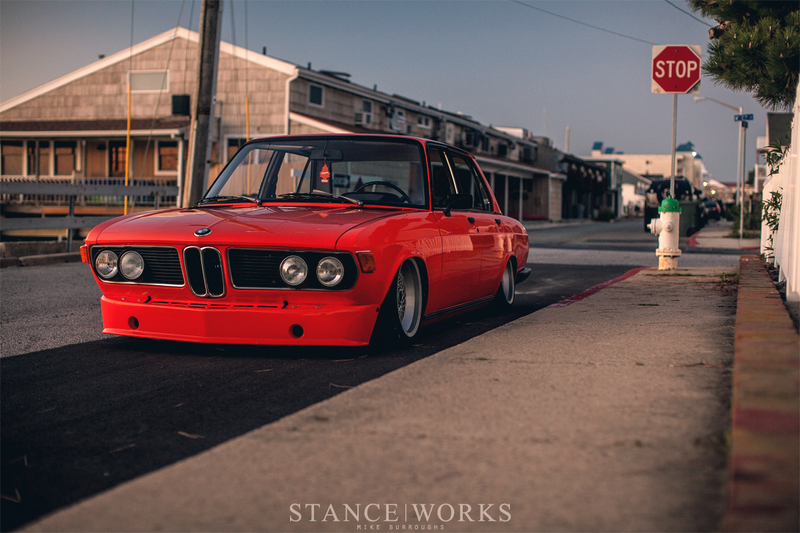 An E9 front airdam was modified extensively to fit, and an E21 Motorsport spoiler matched the trunk lines almost perfectly. From the interior, to the air install in the truck, from the suspension, to the wheels and bodywork, Brian left no stone unturned. 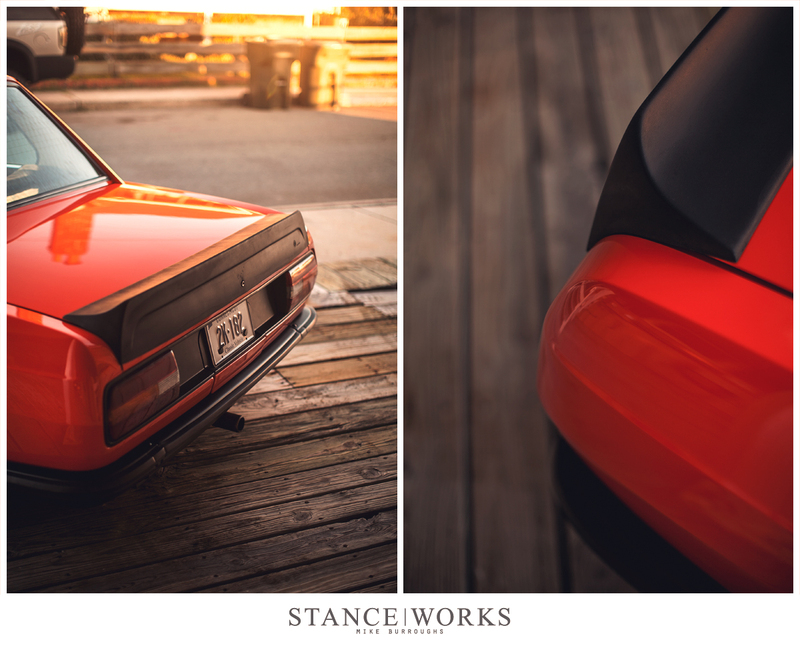 So what have the bright orange Bavaria and Brian's newfound love for cars become? A full-fledged shop. With his girlfriend's brother, also aptly named Brian, he has started New Direction Motorsports, and the Bavaria serves as a perfect demonstration of their capabilities. "I have a few talented friends who I entrust and employ for their help on projects because I know they seek out the same shared vision for each car. Working on any project at New Direction, especially this car, allows me to fill my need for accomplishing goals and fulfilling my love for cars. I find myself building cars for the sheer enjoyment and the time spent with people who share this same hobby." From start to finish, Brian's journey is certainly something unique, and it speaks to the power cars have upon us all. So beautiful, what lens was used for this set? Particularly the last shot. Does anyone know what rims those are? Every time I think, “what else can be done?” out comes another amazing build like this one! It’s cool when looking at the rear shot how much the Bavaria resembles a larger version of the 2002. I do always wonder why more photos are not posted for details, interior, motor, and especially wheels. I myself love to hear the details that make a car unique especially if I’m planning a build of my own. This car is awesome, the subtle mix of parts to the blacked out trim pieces. I know the wheels are stock but any chance of getting some details as far as wheels, tire size, wheel spacing etc. Great job Brian! And as always great photos and write-up Mike. Brian has a remarkable talent and impressive skills envisioning a project, organizing its implementation, and bringing together and managing people to get it done in an amazingly time, efficient and cost effective way. He played a crucial role in the development of my e24. His eye popping Bav is organically appealing. I have a Bavaria in a similar condition as when Brian’s car when he started, dose anyone know how much it cost him to reaper it? I would love to know before I start restoring my car. Inka Orange does not look red.